We’re excited to announce that Snapseed 2.18 has started rolling out today to users on Android and iOS. This update includes a fresh new UI, designed for faster editing with more efficient access to your favorite features. You’ll find Looks are now available from the main screen, making it easier than ever to apply your customized filters to your photos. Looks are a powerful way to save your favorite combinations of edits and apply them to multiple images. We’ve added 11 beautiful new presets (handcrafted by the Snapseed team) to help you get started – give them a try! We’re also bringing the Perspective tool to iOS to allow you to easily adjust skewed lines and perfect the geometry of horizons or buildings. Edit faster by using reusable “looks”: save the edits on any photo as a look, and apply saved looks to other images. Share looks with friends and other users by generating a QR code for each. Apply Structure to individual areas of your photo via the Selective tool. 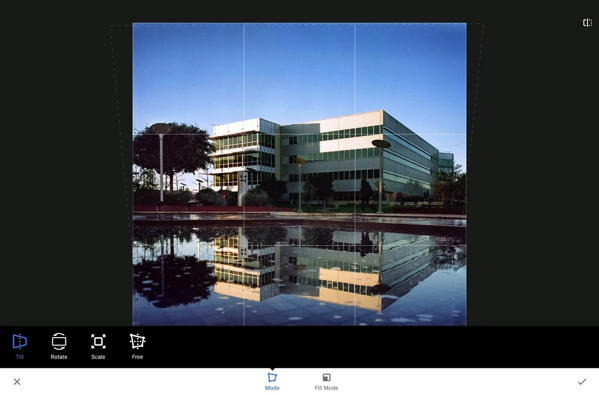 Automatically correct the perspective of your photos using the the enhanced Perspective tool. You now can easily share these looks with your friends and followers. 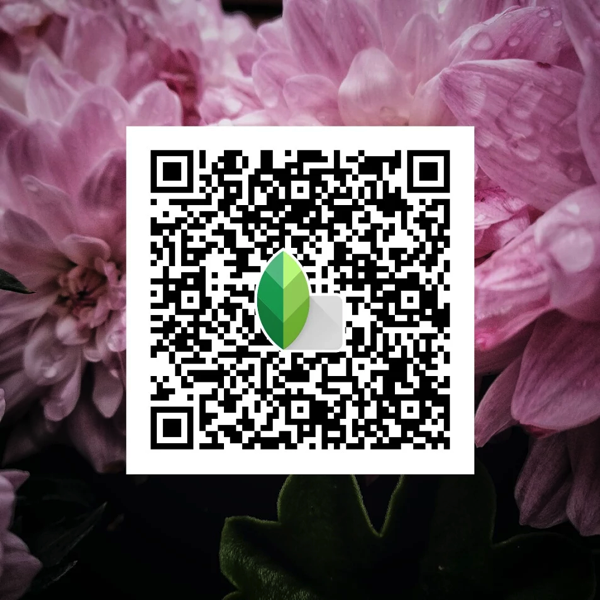 Snapseed will generate a QR code that embeds your look. Scan this QR code [below] in Snapseed to apply the look to the current photo. You can easily share it through social media, on your web site, or by email and instant messaging! Okay, my nerds, this one’s for you: You can now rock out with that original gangsta of color-correction, Curves. Both on iOS and Android, text in the Text tool can now be easily centered vertically and horizontally. 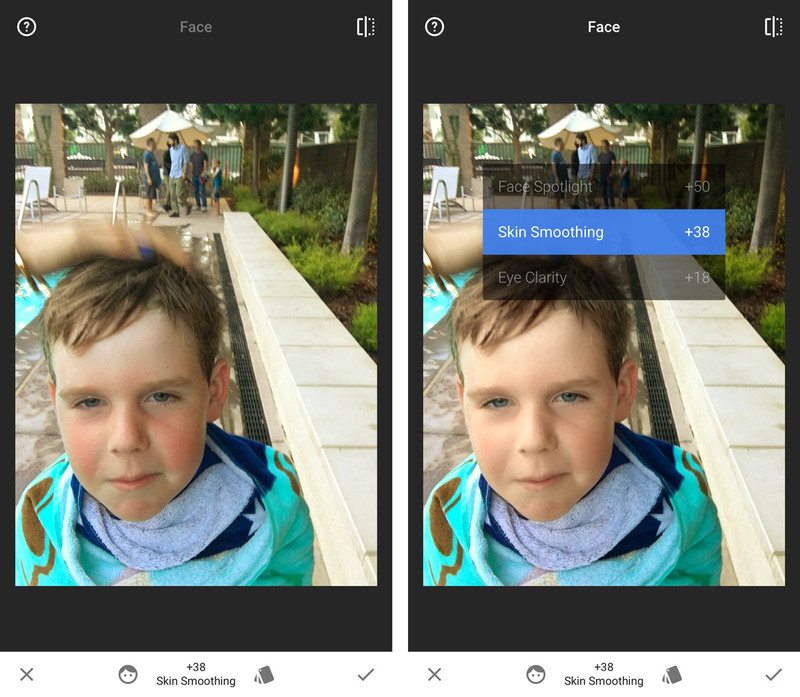 Also, we’ve refreshed the presets of the Face filter, giving more options for fast and easy enhancements. 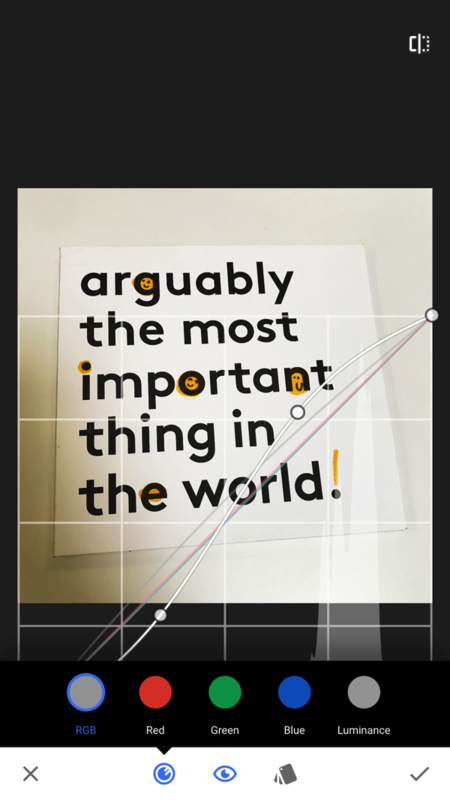 On Android, the Perspective tool brings back the old horizontal and vertical adjustment modes that many users asked for. 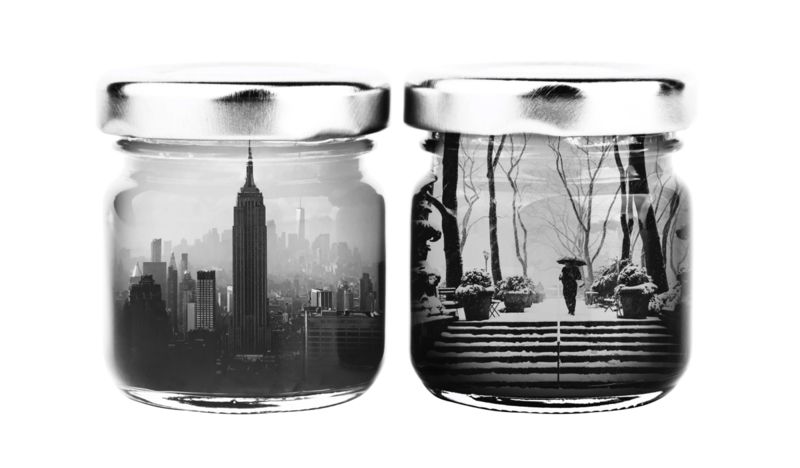 With this addition, Perspective lets you apply any kind of transformation and perspective adjustment you can think of. Also on Android, you can now choose the target folder for exporting a photo, allowing you to store it on an SD card or elsewhere. To enable it, just go to the settings menu for exports. Snapseed 2.13 started rolling out today. This version includes an improved UI for selecting and changing parameters. In addition to swiping up and down to choose parameters, you can now also tap the adjust icon on the bottom bar to bring up a tap-enabled parameter selector. The selected parameter will always be shown as a slider at the top of the screen. To adjust the parameter you can still swipe left and right anywhere on the screen as before. On iOS, this release now also includes the dedicated White Balance tool that got launched on Android a while ago. 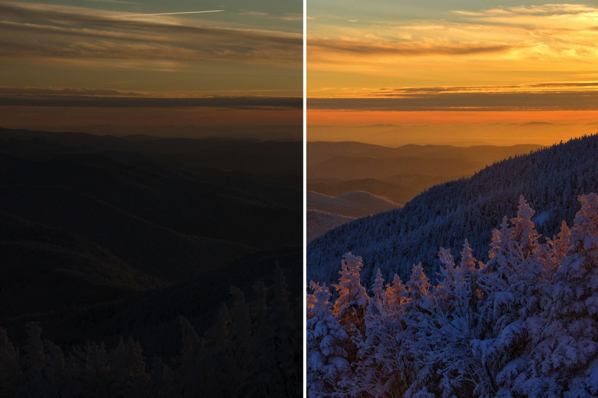 This tool allows you to adjust the colors in your photo to look more natural. Just choose the auto correct option, or use the included color picker for fine control. 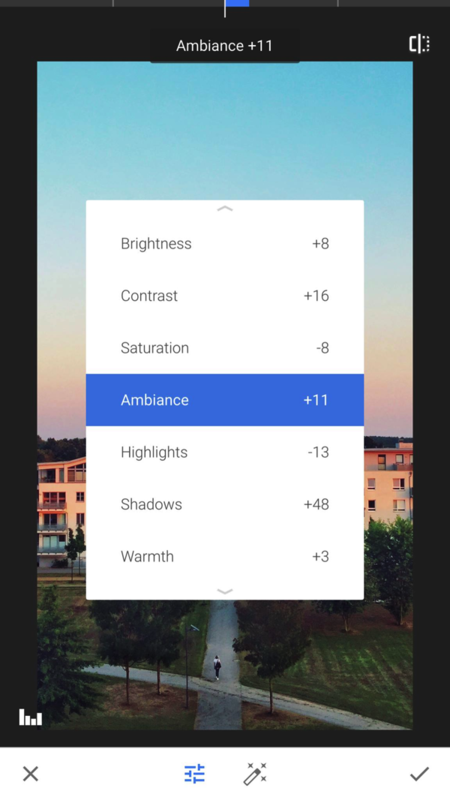 Finally, when opening raw images that have been captured with a creative setting on your camera Snapseed will now show the default raw colors. Previously the embedded color profiles sometimes limited the creative choices in editing your raw files. Your feedback is, as always, most welcome! I was really annoyed & frankly embarrassed to find not long ago that when I used Snapseed to edit a panorama (captured via either my iPhone’s built-in pano mode or via Google Street View’s 360º capture), then tried to post it to Facebook, its magical pano-ness would be lost & the image would be rendered as a flat JPEG instead of as an interactive pano. 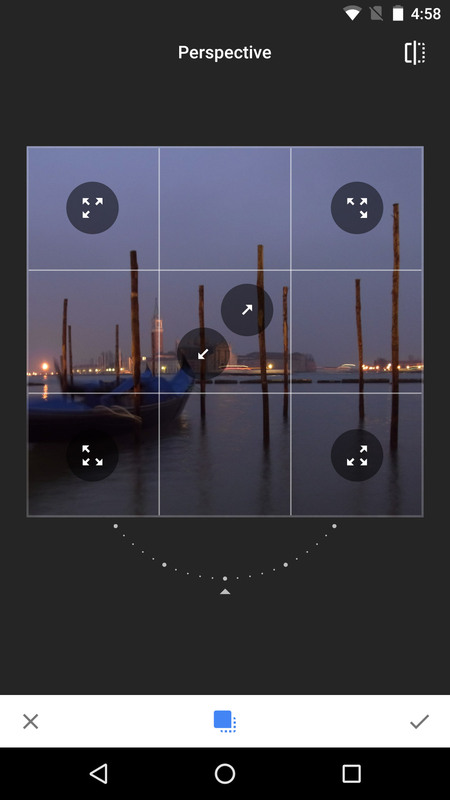 Happily this has been fixed, and if you install the latest update to Snapseed, you should be able to edit panos, then upload them in interactive form. (This works for spheres shown via photos.google.com, too.) Take it for a oh God don’t let me say spin and let me know if you hit any snags. 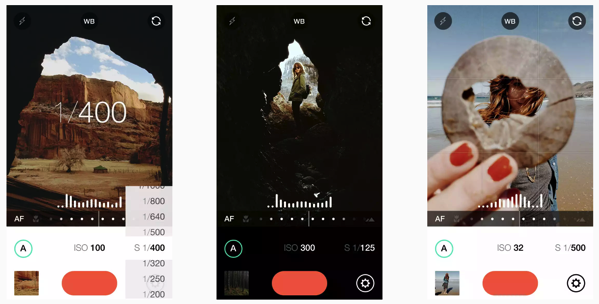 If you don’t want your camera app “f***king stupid,” check out Manual, which—provided you’re running iOS 10 on an iPhone 6s or above—can capture raw images in DNG format that you can edit immediately in the new Snapseed. As you’d expect, the combo gives you greater control over exposure & white balance than if you’d simply shot & edited a JPEG. Lightning to SD Card Camera Reader: will read all supported RAW files and allow the user to import them to the Camera Roll. 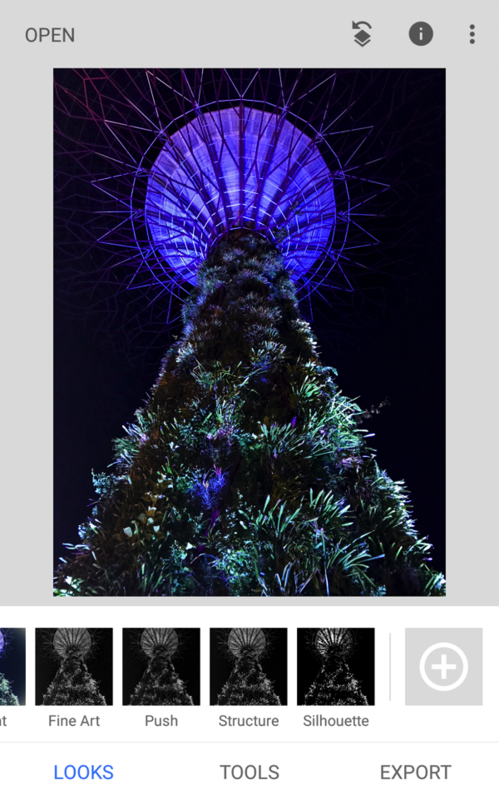 Note: Some DNG files may appear blank in the interface and Camera Roll but will be shown correctly in Snapseed. Check it out in the Apple Store. Lightning to USB Camera Adapter: can be used in combination with a camera’s USB port or even a USB SD card reader to read all supported RAW files and allow the user to import them to the Camera Roll. Check it out in the Apple Store. EyeFi MobiPro: RAW files can be transferred to an iOS device via Wifi using “Eyefi Mobi” app and selecting share/save photo. Photos will be saved as RAW files to the Camera Roll. Note: This requires iOS 9.3.4. 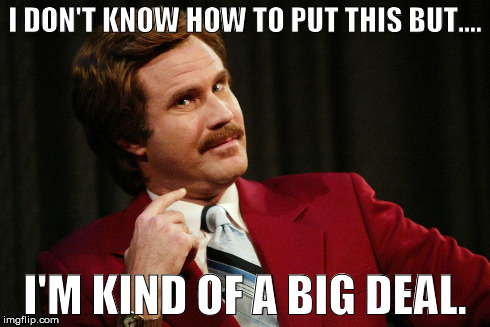 Google Drive: Select a photo in Drive, tap on the dot dot dot icon, then select “send copy”. Drive will download the file. Select “Save Photo” to save it to the Camera Roll, or “Open in” to directly open it in Snapseed. Note: This requires Drive v4.12 and iOS 9.3.4. Apple Mail: Email a RAW file, fully download it in Mail, then open the photo preview and tap the “share” icon. Select “Save Photo” to save it to the Camera Roll, or “Copy to Snapseed” to directly open it in Snapseed.